Mmm, apple and peanut butter is my favourite combination. Rice cakes and nut butters are a good go-to as well. I am exactly the same as you! I have such a sweet tooth which makes dieting hard :( Recently I have taken to mango when I have a craving and those chocolate covered rice cake things (in moderation though as I know they aren't amazing for you!) 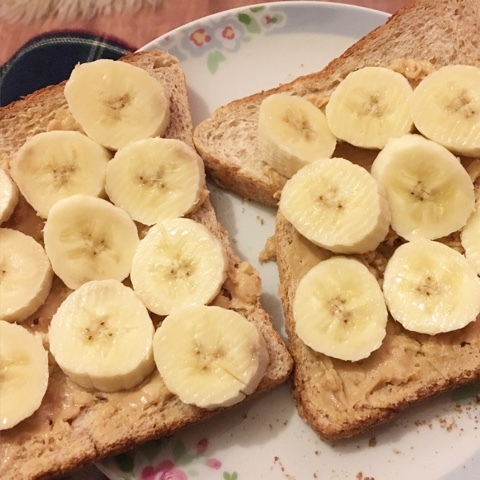 Great post :) I'm gonna try the banana on toast! Peanut butter is always my go-to snack and is it just me or does it go with everything?! So good. I'm also really into almond butter at the moment! I love making little apple and peanut butter sandwiches for a quick snack, or almond butter on banana. And, Nakd bars are just the best! :) Loved this post!